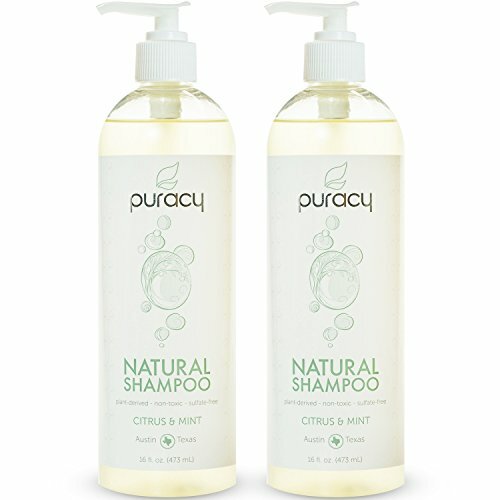 Puracy Natural Shampoo Sulfate Free is a balanced blend of luxurious cleansers, emollients, and essential oils. Packed in this world-class blend of ingredients is squalene, which provides weightless moisture, eliminates static, and creates frictionless hair. Designed for men and women with normal, oily, dry, color-treated, permed, or other hair types. The balanced citrus and mint aromas brighten and energize your bathing experience. The food-grade, plant and mineral-based ingredients were carefully chosen and developed into a premium solution by Puracy, a trusted source for natural, plant-based, child & pet safe, hypoallergenic, and effective household essentials. The proprietary blend of renewable ingredients is family friendly and free from harsh chemicals and fumes. The 9% percentage of negative reviews is a tad high, but not overly significant. Without claims of solving hair and scalp conditions taking away the “it doesn’t work” complaints, we were surprised to see the negative reviews above 6%. As a result, we poured over the few negative reviews and found one complaint standing out by a huge margin. People complained the shampoo gave the dry hair. The product does claim to be for all hair types, but as it would seem, if you have dry hair, this may not be the best shampoo for you. Reviewing the ingredients, we could identify at least four which would aid to soften or condition the hair, but for some, that would not be enough. We note that no one complained about the fragrance. Many of the ingredients have a natural fragrance, so that is not surprising. Without the sulfates for lathering, we expected to see more complaints about a lack of lather, but the topic showed up in the positive reviews as being a good lathering shampoo. Now for the good news, the ingredient health score. This first section is for the No to Low Health Threat. The longer the green bar, the better. For this small group, the longer the Orange Bar, the less the health threat. We recommend this shampoo for people to try and see if they prefer it their current shampoo. The odds are very high this is a healthier choice than what you are using now. People with the Dry Hair type may want to pass on this product or at least use a hair conditioner with the shampoo. It has one of the highest ingredient health scores we have ever seen, so from that basis, submit it for your consideration to try for a healthy choice. If you like our mission to help you make a healthy decision for products that go in and on you, and want a way to support our effort without cost to you, then please just purchase products through our links on this site. When you do, it helps us to keep up our full-time energy and even keep alive the dreams of growing our efforts. Thanks for your consideration.